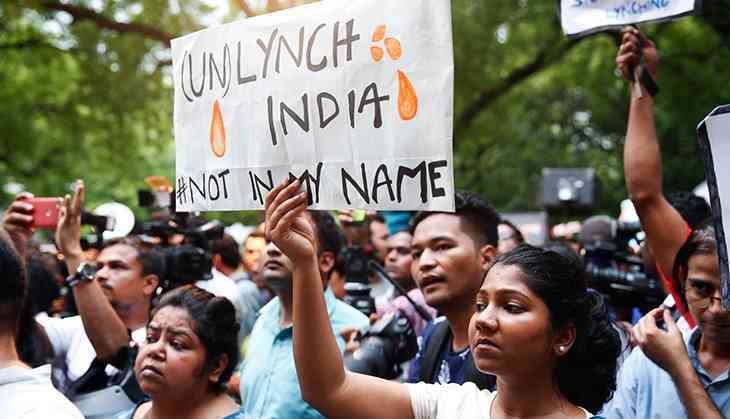 Hundreds gathered at Jantar Mantar in Delhi for #NotInMyName campaign to protest against the multiple lynchings of Muslims across the country. The killing of 15-year-old boy Junaid by a mob a few days before Eid was the trigger for the campaign, which gained support from ordinary citizens on multiple social media platforms. Families of Junaid and Pehlu Khan were expected to attend but couldn't attend for which the organisers blamed a certain section that were intimidating these families. Saba Dewan, who initiated the campaign said that Junaid's brother was attacked and chased by few people while he was returning from the police station. However, residents of their respective villages made it to Jantar Mantar. 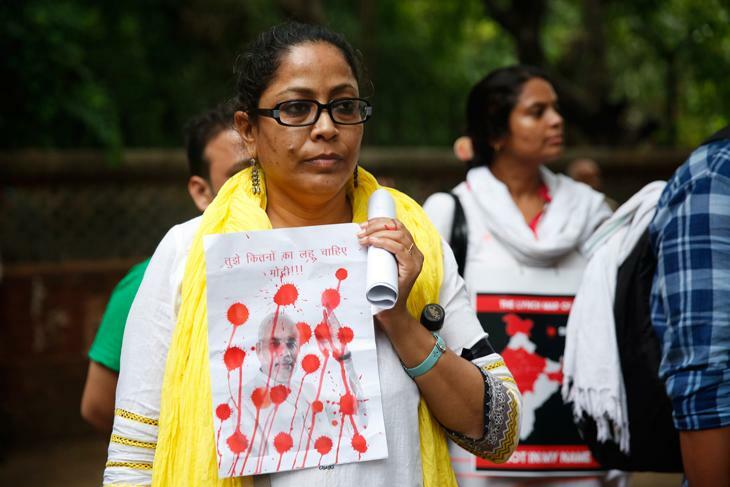 While the orgainsers of the event in Delhi called it a non-political campaign, politicians from across the spectrum showed up to express solidarity with the families of those who have lost their loved ones to lynch mobs. D Raja of the CPM welcomed the initiative and highlighted how India is slowly turning fascist under the Narendra Modi government. “The Indian democracy is under attack and the present BJP government is injecting communal poison in the minds of ordinary citizens. The new India which BJP is trying to create resembles more like the Vedic India,” he said. Raja was particularly critical of how the BJP government has maintained complete silence on these killings which according to him is a proof of their support for those who are lynching people acorss the country. Lauding the effort, JD(U) leader KC Tyagi said that lynchings are slowly becoming a norm in India and every law abiding citizen, who has faith in the Constitution, should protest against it. “Everyday we see reports of people being killed on mere suspicion of possessing beef. Some are being killed only because of what they wear and how they look. These are not signs of a healthy democracy and every effort should be made to deal with these nefarious elements with an iron hand,” said Tyagi. According to him, if immediate measures are not taken to deal with such vigilante groups, “We the people of India will convert into the mob lynchers of India”. “The BJP government has been successful in creating this sickness in our society which is slowly spreading across the length and breadth of the country,” he added. Another leader who attended the protest was Delhi Deputy Chief Minister Manish Sisodia. Though he didn't make a speech, he was seen carrying a placard that said “Not in my name”. 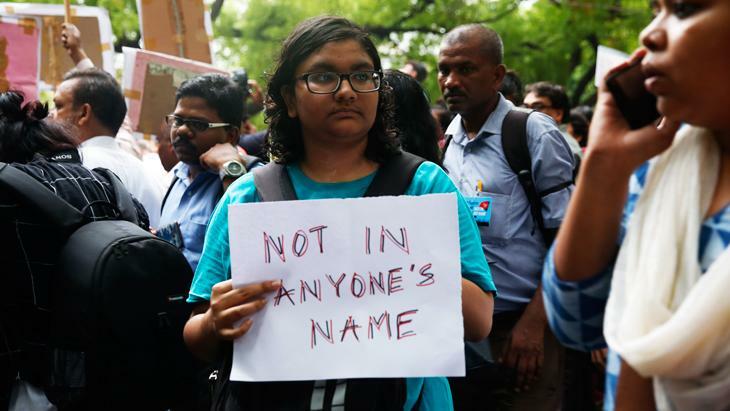 Meanwhile, protests were also organised in multiple cities across the country with actors, writers, academics, activists and common citizens coming in support of the campaign. Protests were organised in Delhi, Mumbai, Bangalore, Hyderabad, Chennai, Lucknow, Allahabad, among other cities.